– More details for long sidelights. – Materials edited for Hella Marker Lights. – New bigger version of 50k’s Highline Light box added. – More colors for 50k’s lollipops. – 50k’f foglight with flares added. – Scania Stock Sidelight updated. It does not work with 1.23, the update as soon as possible? @Ex6tenz – If you want the Mudflaps, look in the Truckfolder and you will find them. 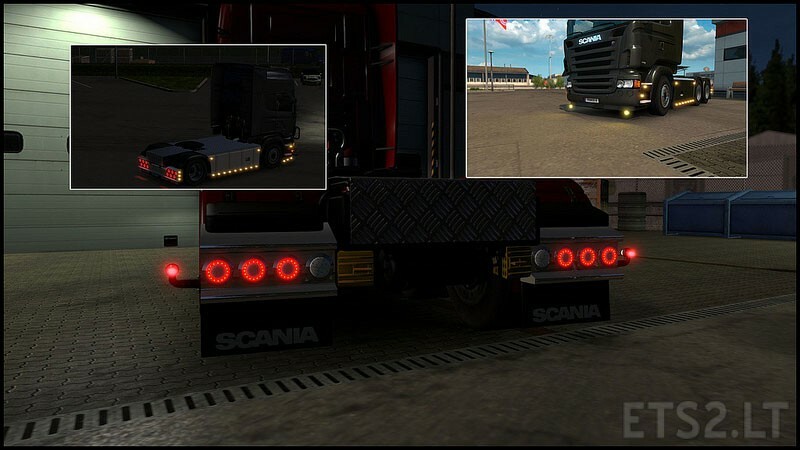 With this Mod my empty places in the LUX-Mod for Scania are now no more empty.